Richard Calland’s latest article (“Maimane may engineer Zuma’s exit”) is a master class in fanciful political analysis. Even if published in the opinion section of the Mail & Guardian, its grasp on reality makes it more suited to fiction than a newspaper. His belief that the next leader of the DA would be able, or want, to pave Zuma’s exit from office is gravely mistaken. In Calland’s world, the pressure on Jacob Zuma has reached its zenith. 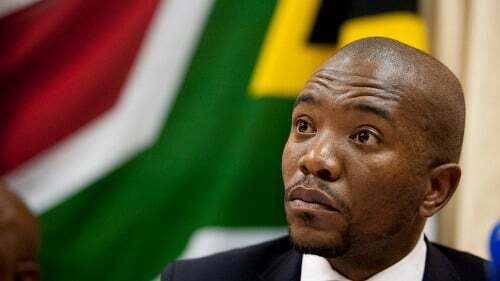 He argues that were Mmusi Maimane elected DA leader, he would have the opportunity to work with ‘‘the critical mass of people on both the left and the right of the ANC who … now … acknowledge that any use that Zuma had to them, their party and the country is outweighed by the damage he has done’’. Calland argues this ‘‘critical mass’’ would be willing to see Zuma go because of the DA’s pending spy tapes case, that Calland believes will be successful. Many in the ANC ‘‘who wish to reach ‘a political solution’ … would regard (Zuma’s departure) as a small price to pay’’. ‘‘Maimane would offer to withdraw the … case in the public interest, in return for a cast-iron promise that Zuma would go.’’ Calland says that ‘‘a person or party other than the DA could relaunch the review proceedings but … South Africa tends to move on quickly. Zuma would be rapidly forgotten”. Calland concludes by saying that ‘‘many would thank Maimane if he took this approach. It might just be a stroke of brilliant political genius. Certainly, the mood in the investment world and in the C-suites of corporate South Africa would lift, just as progressively minded democrats would celebrate the end of the toxic Zuma years’’. Firstly, he does little to identify who this critical mass is and explain what power they have. By ignoring the consequences of South Africa’s single-dominant party system, he suggests that power or opinion outside the ANC counts. Largely, it does not. Had it mattered, the ANC would have lost power a long time ago. Moreover, he misses Zuma’s biggest strength: the centralisation of power within himself and his allies; the subordination of sites of opposition within the party — now occupied by those dependent on his patronage; and, his co-option of potential rivals into his fate by making them complicit in his continued freedom. Yes, Zuma has betrayed many people. And yes, they speak about change. What Calland misses, though, is their anger stems from an inability to no longer change Zuma — not what he does. Secondly, the ANC has no incentive to deal. After spending as much political capital as they have on defending Zuma, any reneging would be an admission of failure. It is almost as violently allergic to that as it is losing power. Ironically, the DA has no incentive to deal either. Its last-minute surge in 2009 is attributable to its aggressive “Stop Zuma” campaign. Maimane, too, has made a meal of his highly personalised critique of the president. The real ‘‘political genius’’ would be to not abandon a vote-winning formula. Why should they assist the ANC out of a tight corner, as it will be in when it faces up to Zuma’s legacy, rather than inflict maximum damage? With the Economic Freedom Fighters waiting in the wings to capitalise on any ‘‘establishmentarian set-ups’’, there is even less reason. Thirdly, Calland attempts to have it both ways on the question of law. It cannot be that the case is so strong that Zuma is likely to lose — creating the political incentive to deal — but the solution be that Zuma should actually win. Calland must decide whether the national interest is for this case to go to trial and have Zuma held accountable, or, in this instance, when it suits him, for the rule of law to be subverted. He cannot have it both ways. And if he chooses the latter, he, and all the other members of the chattering classes who agree with him, must hold their collective tongue when equality before the law is disregarded in future. Calland’s eagerness to believe in Maimane’s prowess is no doubt shared by many. If Maimane defeats his only rival, Wilmot James, then he can try meet those expectations. But, to expect him to do so in a way puts political pragmatism above the rule of law, a betrayal — not only to the DA’s liberal heritage but South Africa’s Constitution too.